Otunba (Dr.) Michael Olasubomi Balogun (CON)is a personality of many parts and accomplishments beyond the ordinary meaning of the word “Icon”. Indeed, whenever and wherever his name is mentioned, what readily comes to mind are unparalleled greatness, commitment, resilience, excellence and success. He demonstrated his penchant to dare from childhood, the same character trait that has seen him succeed in everything he sets out to do – including where others failed. It is, perhaps, the reason stakeholders in the financial sector, where Otunba Balogun has left his footprints in the sands of time, came up with the sobriquet, “Grand Master”, to describe him following his dexterity in conceiving, establishing, nurturing and building one of Nigeria’s biggest financial institutions, First City Monument Bank among other leading organisations. And he has steered these institutions to towering heights thereby further proving his rare entrepreneurial and managerial acumen. Though in retirement, Otunba Balogun, who clocked 84 yesterday, March 9, 2018, remains unarguably a legend and deservedly so, the most celebrated banker. Considering he undertook a personal journey to run on a path which even “angels” could not tread by single-handedly establishing a bank independent of foreign partnership or government support. It is a true testimony and characteristic of his penchant for taking risks to which others would not even give a second thought. Indeed, that is what makes Otunba Balogun unique. One would require more than one volume to fully chronicle the life and times of the iconic Banking Mogul who no doubt, has contributed so much, amidst personal sacrifices and challenges to the financial and socio-economic development of Nigeria. Not even his memoirs, The Cross, The Triumph and The Crown, has done enough justice to an entrepreneur whose kind is so rare to find. However, a peep into the life of one of Africa’s frontliners reveals a man who had a clear vision of where he wanted to go and what he wanted from childhood. It is apt, therefore, to say that nothing has come to him as happenstance. 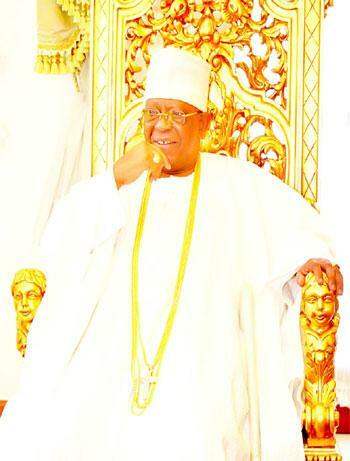 Born on March 9, 1934 to the Fasengbuwa Ruling House of Ijebu-Ode, in today’s Ogun State, Otunba (Dr.) Subomi Balogun had his secondary education at Igbobi College, Yaba, Lagos, from where he passed out with Cambridge School Certificate Grade One in 1952. He had a one-year stint as a secondary school teacher before proceeding to the prestigious London School of Economics (LSE) to study Law in 1956, armed with a GCE Advanced Level Certificate from the College of Arts, Science and Technology, Ibadan, where he was a pioneer student. He graduated in flying colours from the LSE with a Second Class Honours degree in June, 1959, and was called to the English Bar in December, 1959. Otunba Balogun’s ‘first’ in the line of many ‘firsts’ that would decorate his path was when he became the first Nigerian to receive special training in Legal Drafting at Whitehall and the City of London, with particular specialisation in financial legislation, instruments and agreements, on the sponsorship of the then Western Regional Government. Upon return to Nigeria, Otunba Balogun served as Crown Counsel in the Ministry of Justice of Western Nigeria and, later, as Assistant Parliamentary Counsel in the Federal Ministry of Justice. He cut his teeth in the world of banking at the Nigerian Industrial Development Bank (NIDB) where he was the first Principal Counsel and Company Secretary for nine years, from 1966 to 1975. The extensive training he received at the International Bank for Reconstruction and Development (IBRD), also known as The World Bank, and its private sector affiliate, the International Finance Corporation (IFC), both in Washington DC, United States, equipped him for the intricate world of banking. And with the trainings he received from leading stockbrokers, as well as investment and merchant banks in London and New York, he became a unique revelation and pace-setter in the financial services sector. Otunba Balogun’s interest in the stock market was ignited in 1973 when he was appointed the director in-charge of operations of Icon Securities, a major subsidiary of NIDB. He teamed up with other colleagues during his tenure, under the direction of the then Managing Director of NIDB, to convert Icon Securities into a merchant bank, and also played a pivotal role in the establishment of Icon Stockbrokers Limited, a leading stock broking firm that he headed. A major character trait of Otunba Balogun is the tendency to refuse to see any position he finds himself as the ultimate, no matter how comfortable or seemingly satisfying. He has always had his eyes fixed on the bigger picture. The establishment of Icon Limited (Merchant Bankers) and his secondment to the bank as an Executive Director could have been enough satisfaction for many a man, but not Otunba Balogun, who saw in the appointment an opportunity to know the nitty-gritty of merchant banking – for future use. Did he see a life in merchant banking outside the employ of Icon Limited? Later events would prove so. Otunba Subomi Balogun began a solo journey in December, 1977, when he resigned from Icon Limited to set up his own company, City Securities Limited, again, scoring another first with an institution that combined issuing house and stock broking businesses under one roof. The success of City Securities did nothing to satisfy Otunba Balogun’s burning desire to explore more opportunities in the financial sector, where he carved a niche for himself in the stock market sub-sector under a decade. Within just two years of establishing City Securities, Otunba Balogun was able to manifest the experiences he garnered in his sojourn in some of the world’s leading stock broking firms, such that he bestrode the Nigerian capital market like a Colossus, prompting a leading and reputable financial journal to describe him as “a most distinguished and leading baron of the Nigerian Capital market”. In 1979, Otunba Balogun scored his biggest ‘first’ when he took the unprecedented gamble of single-handedly setting up First City Merchant Bank (FCMB), Nigeria’s first privately owned merchant bank, independent of foreign partnership or government participation. That bold step opened the floodgate of merchant banks that dotted the country’s financial landscape in the 1980s. For two decades, FCMB, under him as Chairman and Chief Executive Officer, flourished, with a steady and uninterrupted growth that earned the bank national and international recognition as market leaders in investment banking and capital market services. He became Group Chairman, First City Group Limited in October, 2002 with the financial behemoth comprising First City Monument Bank Limited, FCMB Capital Markets Limited, First City Assets Management Limited, CSL Stockbrokers Limited and City Securities (Registrars) Limited. Otunba Balogun’s Midas touch on the affairs of FCMB (which had transited from a merchant bank to a full-fledged commercial and retail bank under the name of First City Monument Bank) manifested in 2004, during the consolidation exercise in the banking industry, after he had retired from the bank. He came out of retirement to personally lead the campaign to raise capital to meet the recapitalization requirement of N25 billion. It was the period he was given the sobriquet of Grandmaster. He caused the name to be written on T-shirts that were worn by everybody involved in the campaign – staff, friends, relatives, canvassers, etc. That did the magic. The bank did not only have its shares oversubscribed, it acquired six other banks, including a bank that was an amalgamation of four others. The string of professional awards, honours and recognitions that have come the way of Otunba Balogun attest to his contributions to the growth and development of Nigeria’s financial sector in particular and the economy in general. He is a Fellow of the Nigerian Institute of Management; Fellow of the Chartered Institute of Bankers; Council Member of the Lagos Chamber of Commerce and Industry; and Life Vice President of the Nigerian-British Chamber of Commerce. He is a recipient of the American Biographical Institute Inc’s Distinguished Leadership Award for Outstanding Contributions to the Development of Investment Banking. Educational institutions have not been left out in the effort to honour a man who has contributed immensely to scholarship. He holds the University of Ibadan Doctor of Law degree (Honoris Causa) and the Olabisi Onabanjo University Doctor of Science Degree in Management Sciences. He has endowed a Professorial chair at the University of Ibadan for Capital Market Studies; a research fellowship in the Legal Department of the University of Lagos, as well as various commitments in other institutions such as Yaba College of Technology, African Leadership Forum, etc. Otunba Balogun holds the National Honour of Commander of the Order of the Niger (CON). And from outside the shores of Nigeria, he is a holder of the title of Cavaliere dell’Ordine Al merito della Repubblica Italiana (Knight of the Order of Merit of the Republic of Italy), conferred on him by the Italian President in January, 1994. There could not be a better moment to capture the life of an African front liner, entrepreneurial model and astute banker than the occasion of his 84th birthday. The post Otunba Subomi Balogun: The life of an Icon and Pathfinder at 84 appeared first on Vanguard News.